This Pugbaby Award I have received on September 25th, 2000 and I'm very happy. This is my first award! This Zake's Award I have received on October 2nd, 2000 and I'm very happy too. 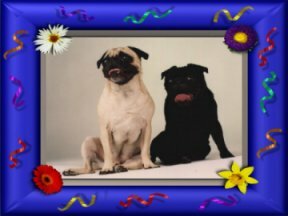 This African Pugs Award I have received on November 19th, 2000 and I'm very happy too. This Pug Mug Shot Award I have received on November 19th, 2000 and I'm very happy too. 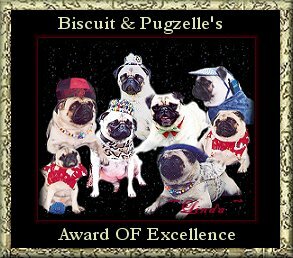 This Biscuit & Pugzelle's Award I have received on November 19th, 2000 and great thanks to Joanne Knauf (Thanx a lot). 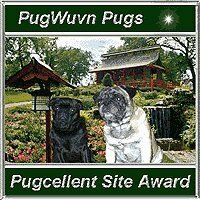 This PugWuvn Award I have received on November 19th, 2000, thank you Lynn. 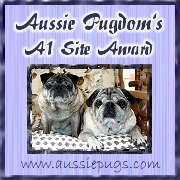 This Aussie Pugdom's A1 Site Award I have received on February 14th, 2001, thank you. 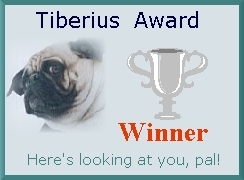 This Tiberius Award I have received on March 1st, 2001 and I am proud, that I'm the first EVER who won this award. Thank you a lot. This Le Carlin d'Or award I have received on March 2nd, 2001, thank you. This Ophie's Best In Show! award I have won on March 5th, 2001, thank you. Ophie is very nice pugmiss! 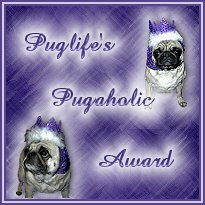 This Puglife's Pugaholic Award I have won on March 11th, 2001, thank you. 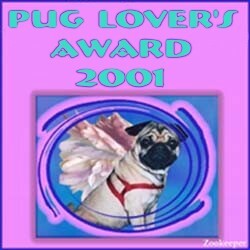 This Puglover's Award 2001 I have won on March 13th, 2001, thank you. This Platinum Pug Pride Award I have won on April 15th, 2001 (Easter sunday), thank you. 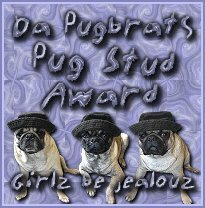 This Da Pugbrats Pug Stud Award I have won on April 16th, 2001 (Easter monday), thank you. This Miss Winston's Pug Attitude Award I have won on April 20th, 2001, thank you very much. This Munchy's Cool Pet Award I have won on April 21st, 2001, thank you very much. This Out Of This World Award I have won on April 22nd, 2001, thank you very much. This Precious' Playground Award I have won on May 31st, 2001, thank you very much. 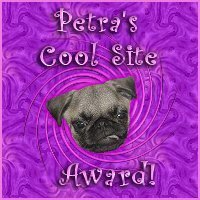 This Petra's Cool Site Award I have won on July 28th, 2001, thank you very much. Tobik's site was selected as Cool DOG Site of the Day on August 2nd, 2001, thank you very much. This Awesome site award I have won on August 4th, 2001, thank you very much. 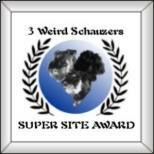 This Super Site Award I have won on August 12th, 2001, thank you very much. 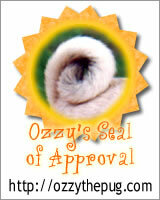 This Ozzy's Seal of Approval I have won on October 21st, 2001, thank you very much. 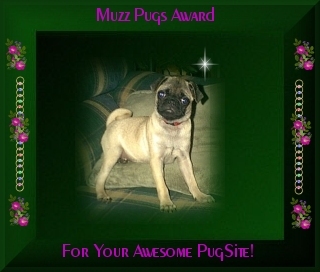 This Muzz Pugs Award I have won on July 3rd, 2003, thank you very much.